As a busy Mum I don't have time to be searching online for the perfect services that I need. 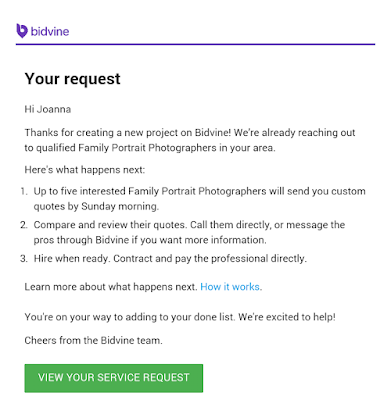 This is when Bidvine comes in handy which is a website you can use to hire local, trusted service professionals and it's ridiculously simple to use. This can be handy for finding all sorts of services for your needs for example finding a professional family photographer that is within your budget and fits in with what is suitable for you. 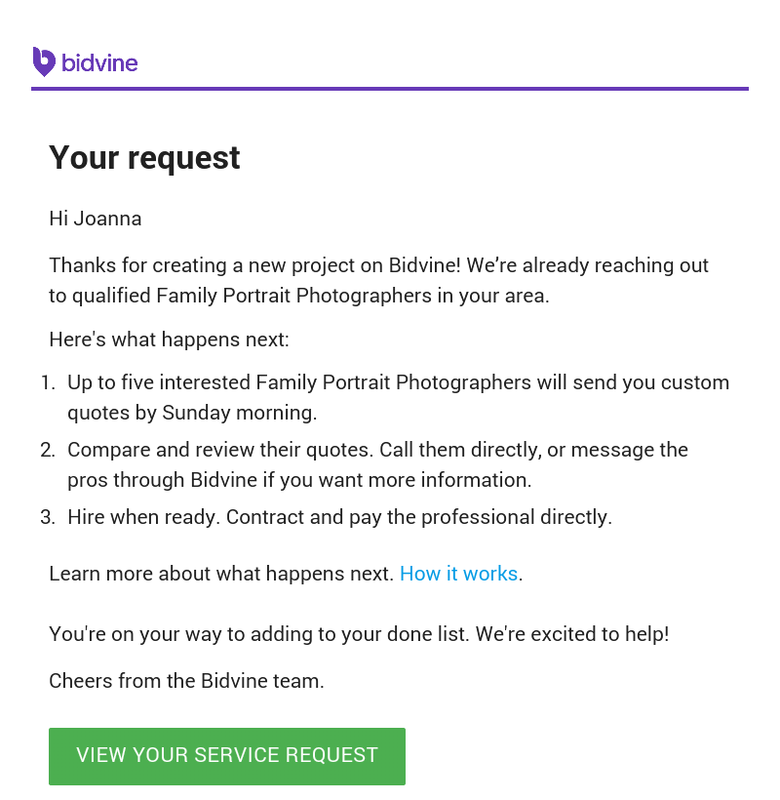 With Bidvine you just have to tell them what you need and where you need it. You'll have to answer some specific questions so that they can match you with the right professionals and give you a more accurate quote. When searching for a photographer I knew that we needed someone that was local or could come to us. We also want photos that can be done either indoors or outside and so I was on the search for Photographers in Bedford that could do that for us. Once I had completed the questionnaire Bidvine sent my request to professionals locally to me who could help me with what I wanted. Within ten minutes of sending my request I already had my first quote and within two hours I had four overall quotes. Prices were ranging from £60 up to £400 and varied with what they offered such as cost per hour or cost for the whole shoot and images on a memory stick. Some also shared their website details so that you could have a look at their work. Overall I think Bidvine is a handy website for helping you find the ideal service for you. I can see this being handy for busy families and those with a busy lifestyle who just don't have the time otherwise to find the professional they need. This is a great idea. I had a look and you can get quotes for all sorts of things without doing a lot of legwork.